Genetic study of β-glucan content and β-glucanase activity has been facilitated by recent developments in quantitative trait loci (QTL) analysis. 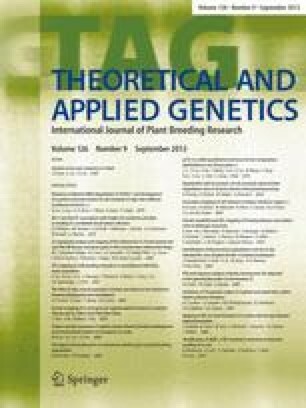 QTL for barley and malt β-glucan content and for green and finished malt β-glucanase activity were mapped using a 123-point molecular marker linkage map from the cross of Steptoe/Morex. Three QTL for barley β-glucan, 6 QTL for malt β-glucan, 3 QTL for β-glucanase in green malt and 5 QTL for β-glucanase in finished malt were detected by interval mapping procedures. The QTL with the largest effects on barley β-glucan, malt βglucan, green malt β-glucanase and finished malt βglucanase were identified on chromosomes 2,1,4 and 7, respectively. A genome map-based approach allows for dissection of relationships among barley and malt βglucan content, green and finished malt β-glucanase activity, and other malting quality parameters.